Well, friends, this is my favorite recipe of all time. 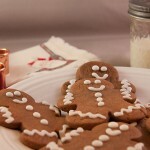 There is nothing better than soft gingerbread cookies to make it feel like Christmas. 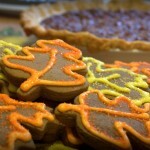 I could (and do) make theses any time of the year. This is the recipe my mom always made when I was younger. They certainly don’t have to be in the shape of gingerbread men. 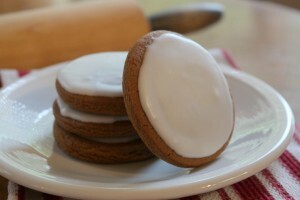 When I get the urge to make this recipe in the middle of summer, round cookies with plain icing is a good way to go too. Cream butter and sugar. Add egg and molasses. In a separate bowl, combine all of the dry ingredients. 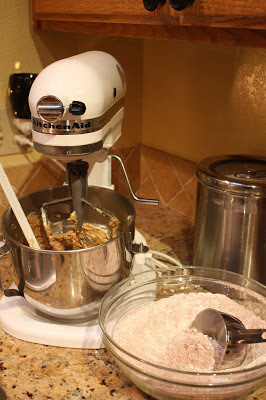 Add the dry ingredients to the wet ingredients a little at a time. Chill dough for at least 2 hours. Roll the dough, on a lightly floured board, 1/4 inch thick. Cut in any shape you choose. Bake in a 350 degree oven for 7 minutes, longer if you are using extra large cookie cutters. Frost with a butter cream frosting or a powdered sugar glaze. 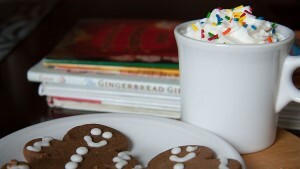 The invention of the gingerbread cookie is right up there with the invention chocolate chips, in my book. This is one of those recipes that has been part of the Holidays for as long as I can remember. My mom says the recipe came from a newspaper many, many years ago. The original recipe calls these cookies Molasses Cookie Cutouts. 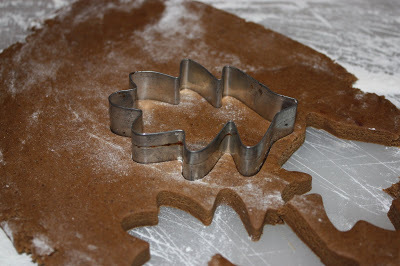 My mom had awesome cookie cutters when I was little. 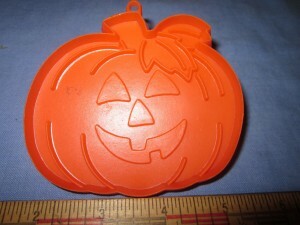 I loved her Halloween cookie cutters. They were orange plastic owl, witch, cat, and pumpkins. 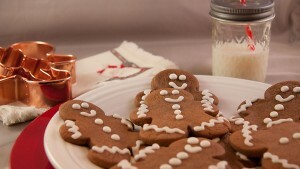 The gingerbread man was my favorite. 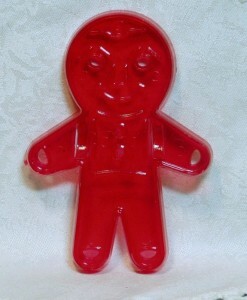 I found these pictures of cookie cutters for sale on Ebay. I think they are just like my mom’s. A couple of years ago my sister-in-law and I decided to find them on Ebay. We were able to replace her broken gingerbread man and I bought one for myself too. These must have been really popular, back in the day, because they weren’t too hard to find. I’m always asked what my recipe is for the frosting I use on my cookies. I just use powdered sugar and milk. I put powdered sugar in a bowl and add a tiny bit of milk. I stir that until I get the consistency that I want. The kids love to frost their own cookies and they are finally getting pretty good at it. They always ask me how my cookies look so neatly frosted and I remind them that I have had about 35 years of practice. I have been frosting cookies with my mom since the time I needed a stool to reach the counters. Enjoy! 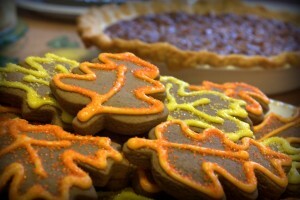 Happy baking and Happy Thanksgiving! Mix butter and sugar. Add Molasses and egg. Add dry ingredients. Chill for 3 hours. Roll dough to 1/4 in thickness on a floured board. Cut into shapes Bake at 350 degrees for 7 minutes.